Chicago is an indisputable CHOIR CONCLAVE. The hallowed roster includes the likes of Rev. Milton Brunson’s Thompson Community Singers, Rev. Clay Evans’ Fellowship Church Choir, Dr. Charles Hayes and the Cosmo Warriors, Ricky Dil lard and New G and New Direction to simply name a few. 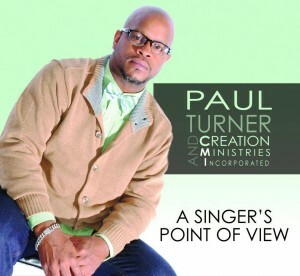 Adding to the list is Paul Turner and Creation Ministries Incorporated with the debut of A Singer’s Point of View. 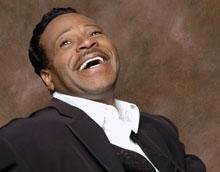 Turner grew up on Chicago’s west side among the social ills that plague the inner city yet made a conscious decision to devote himself to music and the church. He joined the choir (which was originally the Lake Street Community Choir) as their first musician shortly after its inception and ascended the ranks to choir leader. Inspired by Ephesians 2:10, “For we are his workmanship, created in Christ Jesus unto good works, which God hath ordained that we should walk in them”, he rebranded the choir as Creation Ministries and set out on a mission to do “good works” by providing inspiration, light and hope to those in need. Turner invites all to experience the “sound of creation” via their debut CD, A Singer’s Point of View.